Halloween and fall is pumpkin everything. Fall is my favorite season and Halloween is my husband’s favorite holiday. It is one of my favorites for sure, but my husband goes all out for Halloween. He hoped our son would be born on Halloween because my doctor first set my due date for November 5th. But later changed it to November 15. Yet my son decided to hold out 10 more days and didn’t make his appearance until November 25th. Needless to say, my husband was just a wee bit disappointed because he wanted to have Halloween themed birthday parties. But he got over it. Now he’s got my son in on the Halloween decorating bandwagon. I have to admit I love it, though. When decorating for fall and Halloween, I like being able to upcycle things. This way I can reuse items in a way to make them new and fresh. And maybe even better than they were, to begin with; plus save money. 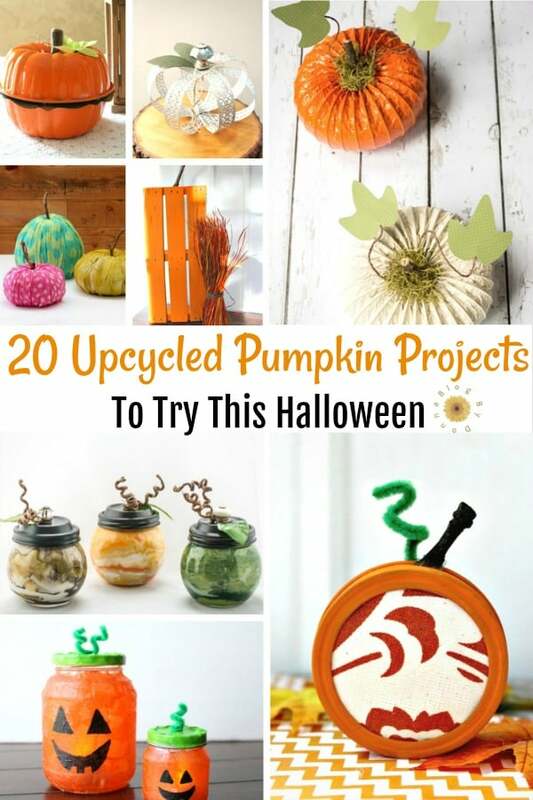 While looking for some upcycle ideas for some old pumpkins I have in storage, I found 20 great upcycle pumpkin projects to try. I don’t do a lot of DIY or craft projects, except around holidays, so it’s a great time for some upcycled DIY projects. I love how you can use wood, baskets, mason jars , and K-Cups to make fun and quite beautiful fall and Halloween decorations. 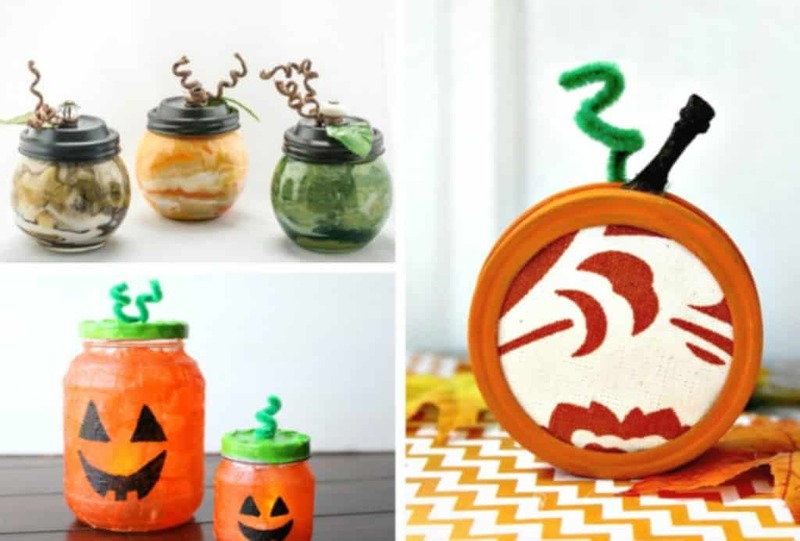 I’m excited to try these creative upcycled projects this fall and especially for Halloween. 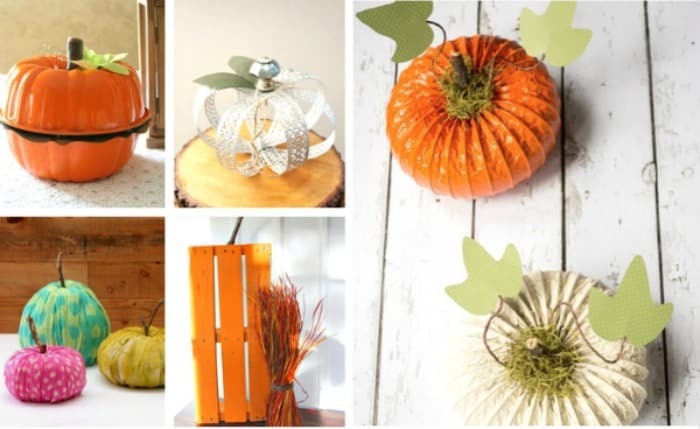 Whether you create some upcycled pumpkins yourself or have your kids join in, have fun upcycling this season. Speaking of pumpkins, you can download FREE pumpkin carving patterns. and get creative carving pumpkins this Halloween. And give this Pumpkin roll recipe a try, it’s so moist and delcious and one of my favorite all-time fall desserts.